Ever since a hunter killed a nuisance cougar last fall in Eden, cougars have been spotted all along the Wasatch foothills from Layton to Olympus Cove and Herriman. Darren De Bloois, who oversees the game mammal program for the Utah Division of Wildlife Resources, spoke with KUER’s Judy Fahys about the frequency of cougar encounters this year and why the season probably isn’t over yet. 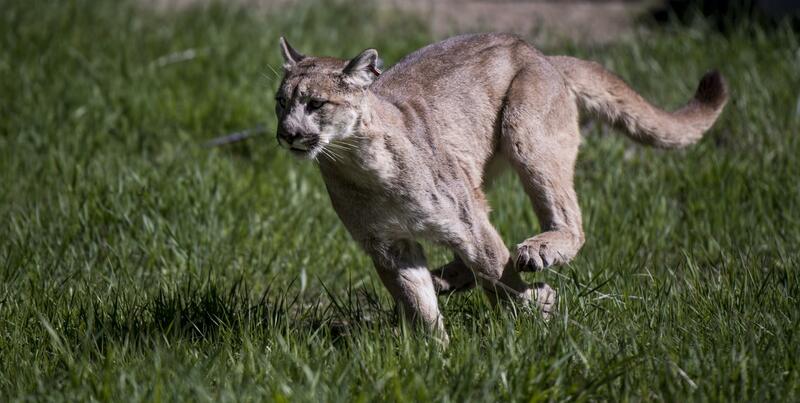 Judy Fahys: Why are we seeing so many cougars coming down into the foothills? 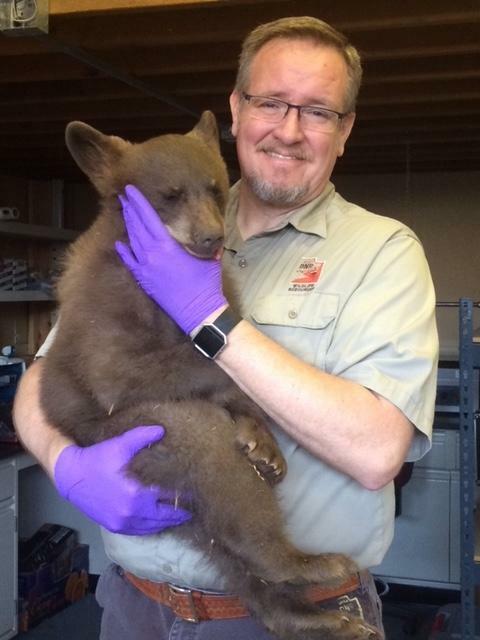 Darren De Bloois works with Utah's Division of Wildlife Resources. Darren DeBloois: It’s a hard question to answer, but it looks like we've had a growing population over the last five or six years and that's easily linked to the number of mule deer that we've seen. We've seen a big growth in our mule deer populations over the last decade, and mountain lions eat mule deer. And, so, if there's more food, they can have more kittens. In addition this has been a normal winter — maybe slightly above normal, I guess, if you look at snowpack. But, when that happens, that pushes those those animals that that mountain lions eat down the mountain and the mountain lions follow them. And, in places like the Salt Lake Valley where people are right up against that wildland interface between urban and wildlife, they tend to see more lions close to town. And then everybody has a camera in their pocket, and we have a lot of security cameras out now. It used to be if a cougar walked through your backyard, no one ever knew unless they noticed tracks, but now you get video of it. And, if someone gets a picture of one, it goes on social media, and that amplifies things a little bit. JF: How many cougars have you relocated this year and how different has that been from past years? DD: It's been a busy year — I want to say four or five this year — and that's fairly unusual. It’s been concentrated along the (Wasatch) Front. Usually it's just people seeing them, and it's a big deal for the person that sees them, especially if it's a close sighting. And we, of course, are worried about human safety. But most cases this year — in fact, I think all of them — are young animals that seemed to be dispersing. And they're showing up in places where they're coming into conflict with people. Just being there can be dangerous potentially and people are concerned, and so we’ll tranquilize and move them to a more appropriate spot. Occasionally, they do take a pet. So, in those cases, those animals are destroyed if we know they've injured an animal, killed an animal and, of course, been aggressive towards a person. That's a risk that we take seriously. JF: I can only imagine what it was like for you to hear about the incident — I think it was last month — with the gentleman in Colorado who was running and who encountered a cougar and ended up tangling with it. DD: It's definitely something we worry about. I think we haven't had an attack on a person — certainly not a fatal attack. But I worry about it, because especially in some of these urban centers, we have a lot of people recreating on that interface. I just hope people are aware that right here around Salt Lake we have cougars and even bears that that use these hills and these mountains with us. So, people need to be aware. If you're familiar with house cats, mountain lions hunt the same way that those that are cats do that we're familiar with. They’re ambush predators and they try to sneak up and be quiet. If you see a mountain lion, hopefully it's at a distance and it's just a neat experience to be able to see North America’s big predators. But if it's a little bit more of a close encounter, you want to make yourself intimidating: Be loud, be aggressive, make yourself look bigger. You can open your coat or stand and wave your arms. It's a good idea if you're recreating in the mountains to do it in a pair so that you know you have another set of eyes. Having said all of that, it's still a really rare occasion that people even see a mountain lion in the wild, and it's probably more dangerous to drive from Salt Lake to Ogden on the highway than it than it is to go running in the backcountry or hiking or doing any of those activities. JF: You said that you'd been in a few situations where you relocated cougars. What was that like? DD: A lot of times when you're dealing with the tranquilizer drugs — especially when the animals are asleep — to get up close to one of these critters is pretty amazing. They're built very well for the thing that they do. And so you can't help but admire that a little bit. It's pretty neat to see, and it's neat that in Utah we still have some of these animals and we maintain a population. Most of the time when I've been involved, it's been because they've been caught in a trap that was set for something else or something like that. The urban part is a lot more rare, but we did have one in a culvert out in Sandy several years ago. It was a challenge to figure out how are we going to dart the animal, because all you could see were eyes. And second of all, how are we going to get it out of this little 3 foot culvert when we're done? It's problem solving, and it's kind of fun sometimes. We actually fashioned a giant “syringe” out of a construction site nearby. We fashioned this plunger that would fit in the hole and then we pushed it through with two by fours and put a cage on the other end. 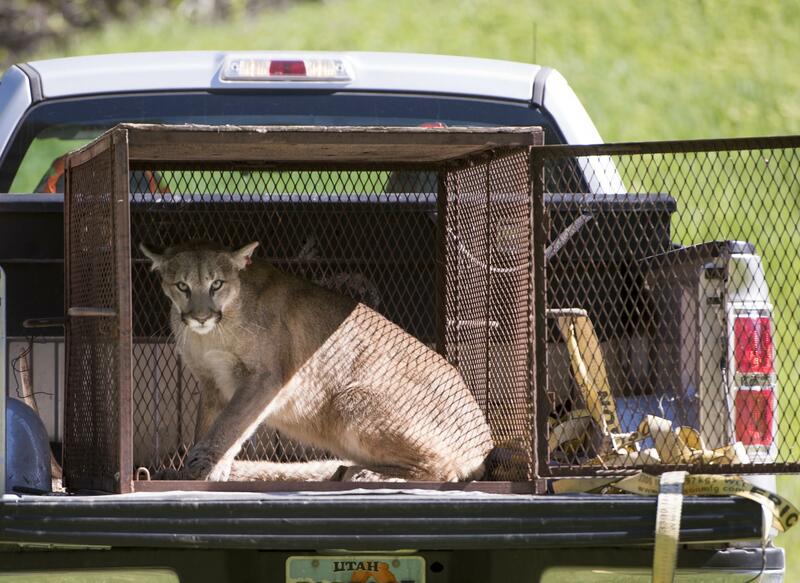 So when the cougar popped out the other end, it was in a cage and then we were able to tranquilize it, put it in the truck and take it to the wild. So all worked out. It took a while though, we scratched our heads for awhile trying to figure out how to how to pull that one off. De Bloois advises against wearing headphones in the backcountry. He says there are more tips at WildAwareUtah.org. On an unseasonably warm February day, Travis Kauffman headed out around noon for a run in the foothills outside Fort Collins, wearing shorts and a fleece pullover. Within two hours, he'd emerge from the woods — clothes tattered, body blood-smeared, but alive. The story of how he came face-to-face with a juvenile mountain lion and not only survived, but killed the animal that attacked him, soon became the stuff of legend. It's the type of story that feeds the impulses of internet commenters and quickly embeds itself in local folklore, like a Wild West tall tale come to life.